Methylphenidate is a central nervous system (CNS) stimulant used to treat narcolepsy and attention deficit hyperactivity disorder (ADHD). The most common trade name for methylphenidate is Ritalin, but it is also sold as Methylin, Concerta, and Tranquilyn. Methylphenidate is known for not staying in your system for a long time. With Ritalin’s half-life being at most three hours, the drug usually leaves the body within a few days. In a drug screen panel for amphetamines, methylphenidate will show positive. Methylphenidate isn’t usually detectable for a long time, but it can be visible in your system for up to ninety days when hair test is involved. The drug has different detection windows for blood, saliva, urine, and hair, which we’ll discuss shortly. Some users choose to dissolve methylphenidate and administer it intravenously, which has a much faster effect and will most probably also be excreted by the body quicker than with the traditional manner of administering methylphenidate. If a person takes methylphenidate often, the user builds up a tolerance towards it and requires more to achieve the desired effect, which takes longer to metabolize. Methylphenidate hepatically metabolizes in the body. In other words, rapidly and extensively metabolized. After administered orally, 78% to 97% of an immediate release formulation excretes through the urine within 48 to 96 hours. The larger the user is, the less a given dosage of methylphenidate is likely to affect them. However, it is entirely possible that methylphenidate may show up on a drug test for longer. The more body fat a user has, the less sensitive the user may be to the effects of certain drugs, which means that it will probably clear faster. Older adults and children’s liver and kidneys tend to be weaker and poorer functioning, meaning that they will take longer to process methylphenidate from their systems. Men and women’s profiles of liver enzymes differ, which means that methylphenidate metabolizes at different paces in each gender. The kidneys need water to perform their function, so the less hydrated they are, the less effectively they will do their job. Physical activity speeds up the metabolism, so a methylphenidate user who is physically active will rid of the drug faster than one who isn’t active at all. Certain health conditions affect the kidneys, liver, brain, and heart, which can all affect how a user metabolizes methylphenidate. Foods such as grapefruit, or the juice, as well as dietary supplements can alter the levels of enzymes in the liver, which affects the user’s drug metabolism. How Long Can Methylphenidate Be Detected in the Urine? Urine tests are usually valid for up to four days after use, depending on which substance is taken, as well as its half-life. Methylphenidate, however, can be detected in urine for one to two days. How Long Can Methylphenidate Be Detected in the Bloodstream? The effectiveness of blood tests will range based on the half-life of the drug. However, the amount of time that methylphenidate will stay in your system is unknown, as there is no data currently available regarding the detection of methylphenidate in blood tests. But generally, substances can be traced in one’s blood for one to three days. How Long Can Methylphenidate Be Detected in Saliva? The effectiveness of saliva tests range depending on the substance, but use can mostly be identified between 12 hours and three days. Testing for methylphenidate will be most useful between one and two days after use. How Long Can Methylphenidate Be Detected in Hair? Methylphenidate can be detected for up to three months with a hair follicle drug test, but will most probably only show up in a test after one week after use. How Long Does it Take to Get Methylphenidate Out of Your System? According to MD Jackson David Reynolds, most studies have demonstrated an average half-life of around three to five hours for adult methylphenidate users. The values range from 1.3 hours to 7.7 hours. Child users tend to have a metabolism range of 1.5 hours to 5 hours, averaging at 2.5 hours. Based on the factors above, it is clear that each will process methylphenidate differently. The vast majority (about 80%) of methylphenidate’s metabolism will be hepatic, regardless of the administration route. Hepatic insufficiency will slow the metabolic rate to different extents, increasing the amount of time that methylphenidate will remain in your system. Acidifying the body’s urine content speeds up the excretion process as urinary alkaline content slows the process down. By eating foods with a high acidic content, methylphenidate will excrete at a faster pace. Drinking a lot of water or other fluids will flush the methylphenidate out of the system faster via urine. There are drugs which induce enzymes in the liver, aiding in metabolizing methylphenidate, so consuming those will metabolize methylphenidate faster. Now you know how long does methylphenidate stay in your system, but the users are often stuck wondering what would happen during a drug test at work. Most drug tests don’t test for methylphenidate, but if it is designed to test for every substance, it could result in some problems for the user, especially if you haven’t disclosed that you have ADHD during your interview. The other problem is that drugs such as Ritalin can show a false positive for amphetamines. 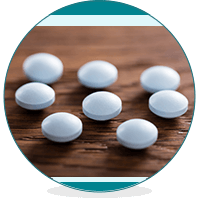 Addiction Resource » Addictive Substances: The Anatomy of Drug Addiction » Methylphenidate – Price, Uses, Dosage, Side Effects and More » How Long Does Methylphenidate Stay in Your System? I took one 27 mg concerta how long before a drug urine test will it be clean? Is there a specific cleanse you can use to help prepare for a urine drug screen after taking Ritalin?